Have a passion for IT Infrastructure or Security, join our 12 month internship! Our unique program is the perfect hybrid of an internship and a grad placement. Pretty much from the word go you become an eNett employee. Here we focus on growing you and put your learnings into practice. You’ll work on real life projects and with tools that are relevant to your field. The paid yearlong program allows you to take part in all things eNett. From working in and around our IT team to be involved in our quarterly social events. We want you to get the best experience out of your time here. And if you love it here, you’ll get the opportunity to pick up a permanent gig at the end of your placement. We work in an agile workspace, with a fast release cycle – every two weeks. Every day we build and iterate on the software that provides our customers a payment solution that helps them grow. We collaborate, share new ideas and there's never a dull moment here. You’ll join a supportive environment where your opinion counts, and you’ll get to work alongside legendary people doing awesome things. As a System Infrastructure intern, you will apply your skills in networking, servers and databases to ensure they are operational. You’ll get exposure to security, corporate systems, database administration and cloud operations. You’ll need to be attentive, thorough and have great problem-solving skills when applied to hardware and system software. If you like troubleshooting technology, setting up hardware devices, monitoring and managing running systems, this is a great choice for you. As an Information Security intern, you will possess knowledge and a passion for cloud transformation and security operations. You’ll need to apply both strategic and tactical thinking to security issues and challenges that our organization faces. If you have a desire to further your development in application security, architecture, risk management and security operations in a business that is undertaking rapid cloud transformation then this is a great choice for you. We’re keen to see applications from students with a wide range of qualification. You love Tech. You love to be creative and you’re willing to challenge that status quo. You’re a communicator. Team Player. Problem solver. Logical in nature. You’ll be ready to make this internship your own. You like what we’ve got to offer. Check out our website and find out more about eNett at https://www.enett.com/ (Watch the Video). Apply for the internship, via any of our methods. Our Career Webpage, your University Job Board, Stack Overflow or LinkedIn. Take part in our online activity, set up to make you show off your skills. Come in for a meet in greet with some of the team. Receive an offer & complete our pre-joining onboarding process. Join our team and have a blast of a year. We can’t wait to get you onboard. So, you can expect the full process to take 3-4 weeks, but if you have any questions during the process you can reach out to recruitment@enett.com. We’re B2B payments game changers. Our products are innovative. Our service is fast. Our customers’ transactions are safe. And we’re easy to deal with. We don’t believe in ‘business as usual’. 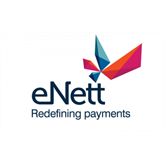 Everyone at eNett is passionate about pushing the boundaries to create the most inventive yet practical payment solutions for the travel industry, as part of one of the leading payment companies. Combining years of experience with a commitment to the best service, we ensure the delivery of innovative products and services that address real industry pain points. Our secure Virtual Account Numbers (VANs) allow travel agencies to generate a unique Mastercard number and pay suppliers from within their booking flow. Our exclusive, long-term partnership with Mastercard provides access to the world’s fastest payments processing network and means VANs are accepted wherever a Mastercard is online.